A new NerdWallet analysis looked at the insurance department websites of all 50 states and Washington, D.C., to determine just how helpful they are to consumers. For additional information on the study, including why it matters and a complete methodology, click here. Here are the state-by-state results. Click on your state’s name to go straight to its scoring details. An asterisk (*) denotes a tie in the rankings. The Kansas Insurance Department received a strong score in our analysis. The state earned the most points possible for both its premium and complaint comparison tools, largely because both are based on 2015 data and are easy to use. One possible area for improvement: adding a link to complaint information from the consumer home page. At the time of our analysis, the comparisons were somewhat difficult to find, under “Publications.” Kansas also provides consumers with helpful resources, including state-specific insurance buying guides. When we called to get a basic insurance question answered, we received a return call within seven minutes — the shortest wait for a return call from any department. The website of the Colorado Division of Insurance performed strongly, thanks in part to its use of 2015 rate comparison and complaint data. The state’s premium comparison tool is easy to locate and use, and the complaint reports are comprehensive and sortable. When we called the consumer helpline, we received a prompt answer to a basic question about auto insurance. The state received full points for consumer education resources, though it would be beneficial if more of these were specific to Colorado. We found it odd that the resources are hosted on Google Drive rather than the department’s website, but that didn’t seem to affect usability. The only points Colorado missed in our analysis were due to several features that took numerous clicks to locate. The Maryland Insurance Administration had the fourth-highest score in our analysis. The state publishes up-to-date premium comparisons for auto and homeowners insurance in its annual guides. The agency also publishes complaint data for all four major lines of insurance — auto, health, homeowners and life — in the administration’s annual reports. While these data are useful, and Maryland received full points for it, the information is difficult to find in an appendix of a document more than 100 pages long. The website could be more user-friendly. The site received full points for its state-specific consumer education resources, which were produced by the department. When we called the agency’s consumer helpline to ask a basic insurance question, we had an answer within four minutes. “We are always trying to get better in our efforts to educate consumers and help people understand the complicated world of insurance,” said department spokesperson Tracy Imm via email. The website of the Utah Insurance Department did well, thanks in large part to the availability of auto and homeowners premium comparisons and some complaint information. The state could have scored higher, but it lacked complaint information for health and life insurers. Utah has a dedicated consumer helpline, and when we called to ask a basic insurance question, we received a prompt and helpful response. The state offers consumer education resources for auto, health, homeowners and life insurance. The site would benefit from Utah-specific publications and resources, including an auto insurance guide explaining state requirements. The Kentucky Department of Insurance received full points for its premium comparison tables, as the data provided were recent, easy to find on the website and useful. While the department does share complaint data across auto, homeowners, health and life insurance, the information is from 2014, making it slightly less useful than newer data. The delay in publishing more recent information is due to the amount of time it takes “to ensure the complaint ratio is correct prior to posting,” said Ronda Sloan, a department spokesperson, in an email. The Kentucky website may not be flashy, but it is highly functional — things are easy to locate and use. The South Carolina Department of Insurance website features price comparison tools for auto and homeowners insurance based on 2016 rates. The state also gives consumers a few ways to view insurance complaints by company — one in a searchable database where you can look up one company at a time, and another showing complaint totals listed alongside the companies’ sample premiums. Both are useful but could be easier to locate. Putting the number of complaints in context of the size of the insurance company would also be more helpful. When we called the department’s consumer helpline with a question about auto insurance limits, we had to leave a voicemail and did not receive a return call until the following day, which affected the agency’s score. The state received full points for its educational resources, many of which were recently updated and state-specific. “The South Carolina Department of Insurance is dedicated to continually improving the quality of the services we offer for the state’s insurance consumers,” said department spokesperson Ann Roberson via email, adding that the agency welcomes feedback. The website of the Arkansas Insurance Department ranked eighth in our analysis, tied with Pennsylvania. Its high ranking was largely due to the presence of both premium comparison information for auto and homeowners insurance and complaint data across auto, home, health and life insurance. The complaint comparison tool is comprehensive and easy to use, but the state’s score would have been higher had the complaint data been more recent. The state has useful educational resources across all insurance types. When we called the department’s consumer helpline, we had to leave a voicemail. It took approximately three hours to receive a call back. The Pennsylvania Insurance Department website features complaint information across all four major lines of insurance using a searchable and sortable tool. This boosted the state’s score considerably, helping Pennsylvania rank eighth, tied with Arkansas. The state has a dedicated consumer helpline that proved quick and helpful when we called, and the website features educational resources — several of them specific to Pennsylvania — across auto, health, homeowners and life insurance. The absence of any way for consumers to compare home and auto insurance rates at the time of our analysis was the main thing holding Pennsylvania back from a top score. The website of the California Department of Insurance received full points for its insurance rate estimates because of a useful interactive tool based on updated numbers. California also shares complaint information across auto, homeowners and life insurers, but only included 2014 data at the time of our analysis. According to department spokesperson Nancy Kincaid, the 2015 data was slated to be added in September. Complaint information against health insurance companies was missing. The website of the Connecticut Insurance Department had the most comprehensive complaint database of all departments in our analysis. However, the tool is so complex, it would be difficult for the average consumer to compare complaints across insurance companies. The website’s lack of premium comparisons also kept it from scoring higher. The agency scored well when it came to consumer assistance, with the presence of an easy-to-find consumer helpline and answers to our auto insurance question in less than two minutes. The website features consumer education resources, including a separate list of common terms and definitions, for each major line of insurance. The website of the West Virginia Offices of the Insurance Commissioner offers consumers a way to compare auto rates, but there wasn’t a similar tool or report for homeowners insurance. The website also provides complaint data for auto, home, health and life insurance, although consumers may have a difficult time finding the information since it’s buried in an annual report. The complaint information could also be made more useful by providing context to the complaint totals — adding the size of each insurance company or a complaint ratio. There are educational resources, but little was available on health insurance. West Virginia has a dedicated consumer helpline, and when we called with a basic insurance question, we received an answer in a reasonable amount of time. Florida’s website provided up-to-date premium data, but the information would have been more useful if it shared estimates for more than three driver profiles. The auto and homeowners insurance complaints were also up to date, earning the state good scores in that category. Florida’s overall score was held down by its lack of data on complaints against health and life insurance companies, as well as by how difficult it was to find some features on the website. Department spokesperson Karen Kees explained in an email that while the Office of Insurance Regulation is in charge of regulating the insurance industry, the Florida Department of Financial Services handles complaint information and consumer assistance. In our analysis, the state was given credit when the insurance department linked to these resources on the DFS website. The website of the Washington Office of the Insurance Commissioner offered a robust complaint comparison tool. With it, consumers can easily compare complaint information against all licensed insurance companies in the state. Based on 2015 data, the information can then be sorted by company size, number of complaints or complaint index. When we called the department’s consumer assistance line and asked about auto insurance requirements, we received a response within three minutes. Locating state-specific educational resources on the site was easy; however, Washington failed to provide rate comparisons at the time of our scoring. At the time of our analysis, the Arizona Department of Insurance offered consumers the ability to compare insurance rates for both auto and homeowners policies. The auto rate comparisons used 2015 data, but the homeowners comparisons used 2014 data. The state makes limited complaint information available — 2014 data for auto insurance and 2013 data for homeowners insurance. The state lost points because these data were slightly out of date and consumers can’t compare complaint information for health and life insurance. Arizona does have a dedicated consumer helpline, but when we called to ask for the minimum requirements for auto insurance in the state, we were refused an answer and directed to other state agencies. However, the insurance department does list these requirements on its website. Arizona has several useful consumer educational resources, and its website is easy to navigate. The website of the Georgia Department of Insurance scored above average thanks to its auto and homeowners premium comparisons, which are based on the most recently approved rate filings from 2016. However, the absence of complaint data had a significant negative effect on the state’s total score. Georgia received full points for the presence of consumer education resources, including information on auto, health, homeowners and life insurance. However, some of these resources, which were narrowly focused, could be improved. For example, there is no basic buying guide or general information source for health insurance, and the basic brochures for auto, homeowners and life insurance could be more robust. We called the state’s consumer helpline and received an answer to a basic auto insurance question in less than two minutes. The New Hampshire Insurance Department tied with Georgia and Arizona for the 15th-highest score. The department provides 2016 data in both its auto and homeowners insurance rate comparison reports. The state scored full points for these premium tools because they are up-to-date, useful and easy to locate. New Hampshire also received full points for its consumer guides and resources, the majority of which are produced by the department. The agency’s easy-to-find consumer helpline was able to answer a basic insurance question in less than two minutes when we called. The New Jersey Department of Banking and Insurance website provided auto premium comparisons and complaint information using 2015 data. However, at the time of our review, the state did not extend these tools to any other insurance types, which hurt New Jersey’s score significantly. When we called the department’s consumer helpline, we received an answer to our auto insurance question in just one minute. New Jersey scored well for consumer education resources, too, though many of those resources were not state-specific. 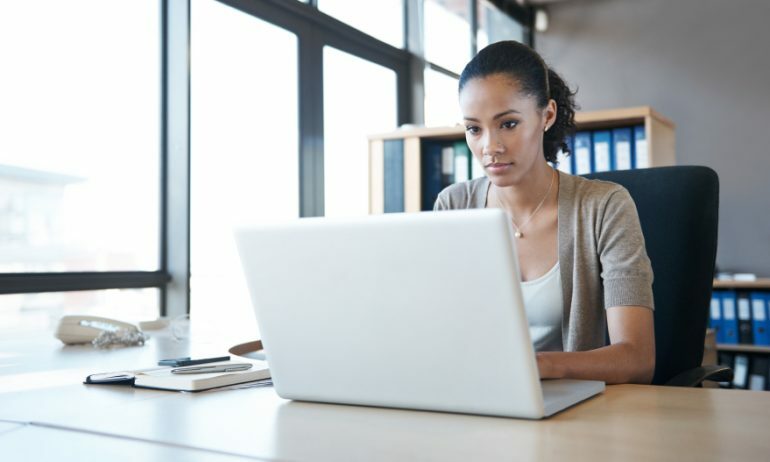 Consumers are able to easily find and use complaint comparisons for auto, health, homeowners and life insurance on the Ohio Department of Insurance website. However, at the time of scoring, complaint information was only available through 2014, which reduced the state’s score. We were able to locate numerous state-published insurance guides on the website, and when we called the department to ask about auto insurance requirements, our question was answered in three minutes. The absence of auto and homeowners insurance rate data on the website was largely responsible for holding back the state’s score. According to department spokesperson David Hopcraft, the agency’s policies help to foster a competitive insurance market in Ohio, which benefits residents with lower rates and broader policy choices. “Under this model, ODI does not view its website as a shopping mall for online insurance comparisons,” Hopcraft said via email. The Louisiana Department of Insurance scored above average in our analysis, partly due to the presence of premium comparison tools for auto and homeowners insurance — both using 2015 data. It also scored maximum points for having an easy-to-locate consumer helpline that answered a basic insurance question in less than one minute when we called. The department has numerous consumer education resources across auto, home, health and life insurance, and its guides are well-written and contain helpful information. Louisiana’s score was significantly affected by the lack of complaint information. At the time of our analysis, the Missouri Department of Insurance website lacked auto and homeowners insurance rate estimates. While the state lost points for that, its score was boosted by the presence of complaint information. Missouri’s complaint index tool is easy to use and lets you view a company’s last three years of complaint information on one screen. The state has a consumer helpline, but the department lost points because we had to leave a message and wait approximately 90 minutes for a return call to get our question answered. The department received full points for its educational resources, and we found its Missouri-specific auto insurance guide to be particularly robust and user-friendly. The Illinois Department of Insurance website offered no auto or homeowners insurance rate comparisons, which significantly affected its score. The state did get points for complaint data, but it could have received more if the information had been updated to include 2015 data. Also, the complaint information, featured in a section of the website labeled “DOI Reports,” may be difficult for consumers to find. The department earned full points for its many consumer education resources. The website features helpful information including explanation of complex insurance concepts and terms. Finally, when we called the department’s consumer helpline, we received a prompt answer to our insurance question. At the time of our analysis, the Indiana Department of Insurance website did not provide premium comparison estimates for auto or homeowners insurance, which significantly hurt its score. The website also offered insurance complaint data only through 2014. Since our analysis, the department has updated its complaint information across all insurance types to include 2015 data — a notable improvement that is not reflected in this score. When we called the department’s consumer helpline with a question, we received an answer in just one minute. Indiana also received full credit for the presence of consumer education resources. Some of these resources could be more helpful — the state-specific auto and homeowners insurance guides, for example, are scanned copies of black and white brochures. Both contain useful information, but not in an ideal format for online consumers. The website of Montana’s Commissioner of Securities and Insurance had an upgrade 16 months ago and improvements are ongoing, according to spokesperson Laura Parvey-Connors. The site has a user-friendly interface and updated premium comparison booklets for both homeowners and auto insurance, featuring helpful explanations on how to best use them. The state’s score suffered from a lack of complaint information at the time of our review. When we called the office with a basic insurance question, we received an answer in less than one minute. Though the state’s website lacked a consumer education page specific to life insurance at the time of scoring, Parvey-Connors said that page should be up and running soon. Oregon’s Division of Financial Regulation provided complaint information across auto, home, health and life insurance, although the data was from 2014. The state failed to display insurance rate comparisons on its website. We found educational material under “Insurance help,” but these guides could be made more robust with features such as state-specific auto insurance requirements and a glossary of basic insurance terms. Where did Oregon excel? When we called the department’s consumer assistance line, we received an answer to our question in less than one minute. “The State of Oregon is proud of its consumer advocacy team and the valuable services they provide to Oregonians who have insurance and financial questions or issues,” said department spokesman Jake Sunderland via email. The Idaho Department of Insurance website missed out on significant points for failing to provide consumers with a way to compare estimated auto and homeowners insurance rates. The website was also missing data on complaints against life insurers, but the complaint information for auto, health and homeowners insurers was fairly comprehensive and updated to include 2015 data. The state has educational resources for auto, home, health and life insurance, too. The health insurance resources were particularly robust. The website is due for improvements with a redesign coming this fall, according to a department spokesperson. “We anticipate our consumers will find our website update more user-friendly and accessible,” Tricia Carney said in an email. The Nevada Division of Insurance makes auto insurance premium estimates based on 2015 data available in its comprehensive Consumer’s Guide to Auto Insurance Rates. It did not offer similar comparisons for homeowners insurance rates at the time of our scoring. This and the absence of complaint comparisons negatively affected the state’s score. The division offers state-specific insurance guides across auto, homeowners, health and life insurance. When we called the consumer helpline and asked about the state’s minimum auto insurance requirements, we received an answer in three minutes. Overall, Nevada’s website is easy to navigate. Consumers visiting the Oklahoma Insurance Department’s website can easily find useful auto and homeowners insurance rate comparisons that are updated nightly as rate filings are approved, according to the agency. However, the state did not display insurance complaint information across any insurance type. A spokesperson said that state law actually prevents the department from doing so. When we called the agency’s dedicated consumer assistance line, we received an answer to our basic question about auto insurance within three minutes. Oklahoma’s insurance department posts consumer insurance guides on its website, something the agency says is only the tip of its educational efforts. The Virginia Bureau of Insurance website offers recently updated premium comparison publications for auto and homeowners insurance. Each includes rate estimates for the largest 25 insurers in the state. 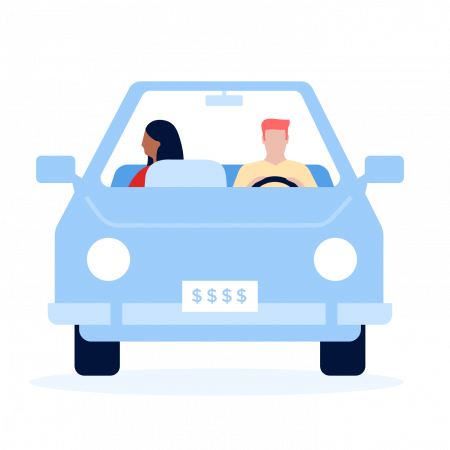 The auto rate comparisons could be made more useful if they included more than three driver profiles, as insurance rates vary widely depending on driver characteristics. The state scored highly for easy-to-find educational resources including state-specific guides for auto, health, homeowners and life insurance. When we reached out to the bureau with an insurance question, it was answered quickly. The one factor that had a significant negative impact on Virginia’s score was the absence of complaint data. To get that information, the bureau refers consumers to the website of the National Association of Insurance Commissioners. The District of Columbia’s Department of Insurance, Securities and Banking website received full points for up-to-date auto and homeowners premium comparisons, which were displayed in tables in PDF files. The absence of any complaint data had a significant impact on its score. Although D.C. doesn’t have a dedicated consumer helpline, we were able to receive an immediate answer to our insurance question when we called the department. The website also scored well in consumer education resources, only missing a point for lacking a glossary or explanation of basic insurance terms. The site had useful resources for each insurance type, but we couldn’t find a general buying guide for any one type of insurance. The Maine Bureau of Insurance scored just below average in our analysis. One reason for its lower score is the absence of any premium comparisons for auto or homeowners insurance. The state does offer complaint information across auto, homeowners and health insurers. These complaint reports are useful and relatively easy to locate on the website. The bureau lost points here for not including life insurance complaints, though. The state does not have a phone number explicitly for consumer questions, but it does welcome questions and complaints, according to the website. The number we called did yield an answer to an insurance question in a reasonable amount of time. Finally, the site provides several useful state-specific insurance guides. At the time of our analysis, the Massachusetts Division of Insurance website allowed consumers to compare auto insurance premiums in a downloadable tool that was last updated in July 2016. A similar tool for homeowners insurance was not available, but a department spokesperson said one is “in the works.” The website provides auto insurance complaint information from 2015, but complaints against homeowners insurers were last updated with 2013 data. There was no complaint information for life or health insurers, which also hurt the state’s score. We did locate a phone number specifically for consumer questions and received an answer to our auto insurance question within three minutes. The state scored well for its consumer education resources on auto, home, health and life insurance. Despite scoring below the average, the website of the Hawaii Insurance Division offers decent, up-to-date premium comparisons in PDF tables. A lack of complaint data severely affected the state’s score. In the auto insurance premium comparisons guide, you’ll find 2014 complaint data for the top insurers in the state, but this is the extent of the website’s complaint information. Many consumers wouldn’t know to look for complaint information in a premium guide, which takes several clicks to get to from the home page. For those reasons, Hawaii lost points for making that data difficult to find. The department got points for offering educational resources for each insurance type. However, these resources could be more robust. The information on homeowners insurance was particularly slim. Hawaii didn’t have a dedicated consumer helpline; however, we were able to call the main department phone number and receive a speedy response to a basic state-specific insurance question. The Michigan Department of Insurance and Financial Services website offered consumers robust tools to compare complaint information across auto, health, homeowners and life insurance companies. These complaint reports are useful and include 2015 data. Michigan scored well on consumer education resources, with publications and guides for auto, home, health and life insurance. The absence of premium comparisons on the website at the time of our analysis affected the state’s score the most. Another contributing factor to the lower-than-average score was an absence of a consumer helpline. When we called the main office phone number with a basic insurance question, we were directed to voicemail and did not receive a return call within 10 minutes. The Nebraska Department of Insurance website scored below the average, largely due to a lack of complaint information at the time of our analysis. The state also didn’t provide rate comparisons for homeowners insurance, even though it has an updated rate comparison guide for auto insurance. This auto rate guide could be difficult for consumers to access, however, as a link to it from the consumer home page was broken during the time of our analysis. The department received points for featuring brochures across auto, health, homeowners and life insurance, but these resources could be improved; we were unable to locate state-specific auto insurance requirements or a glossary to help consumers understand insurance terms. Nebraska does prominently post its consumer affairs hotline, and when we called to ask about auto insurance requirements, we were helped immediately. Delaware’s Department of Insurance website has several good state-specific consumer education guides, including a buying guide for each major type of insurance — auto, health, homeowners and life. These guides include state insurance requirements, explanations of common terms and helpful advice on saving money. The state’s auto and homeowners premium comparison tools are also helpful and feature recently updated rates. When we called the consumer services helpline, we had to leave a message and did not receive a call back until the following day. The most significant factor in Delaware’s lower score was a lack of complaint data, a feature that department spokesman Jerry Grant said was in the works. The department began researching a complaint comparison tool a few years ago but had to shelve the update as the agency worked on other things, according to Grant. He said he anticipates the initial rollout of a comparison tool in early 2017. “Until then, we continue to provide complaint information to consumers who request it either as walk-ins, by phone, via email and at community outreaches,” Grant said via email. The North Dakota Insurance Department website has updated auto insurance rate comparison information but didn’t do the same for homeowners insurance. The state’s website didn’t allow consumers to compare complaints for auto, home, health or life insurance at the time of our review. This significantly affected the department’s score. The department doesn’t have a dedicated consumer helpline, but we were able to get a basic insurance question answered in a reasonable amount of time when we called the office line. The state offers good state-specific consumer education resources. The Alabama Department of Insurance has a useful, regularly updated premium comparison tool for both auto and homeowners insurance, which allows consumers to compare sample rates across several customer profiles, ZIP codes and insurers. Unfortunately, when we called the agency’s consumer helpline with an insurance question, we were told we needed to call another state agency. This department depends heavily on links to the website of the National Association of Insurance Commissioners for consumer education resources. This means the site lacks state-specific guides, such as one that would spell out Alabama’s auto insurance requirements. The department does not offer the ability to compare consumer complaints against insurance companies within the state. Instead, the agency again refers people to the National Association of Insurance Commissioners. This significantly affected Alabama’s score. The North Carolina Department of Insurance website didn’t offer a way to compare auto or home insurance rates or to view complaint data across insurance companies for any insurance type at the time of our review. These two factors had a significant negative impact on the score. However, the state does offer several helpful state-specific consumer education resources. When we called the department’s consumer helpline and asked a basic insurance question, we received an answer in just two minutes. The Wyoming Department of Insurance website does not share any estimated insurance rates, which significantly affected its score. Insurance companies are not legally required to file their rates with the department for approval, according to agency spokesperson Denise Burke, so the department lacks rate information to provide to consumers. The department received points for displaying complaint data, but the complaint ratio reports would be more useful for consumers if they separated complaints by each insurance type: life, homeowners, auto and health. Since the state doesn’t have a dedicated consumer helpline, we had to call the main number to ask a basic insurance question. We left a message and weren’t contacted within a reasonable amount of time. The lack of a consumer helpline stems from resource constraints: “It is a matter of practicality that we cannot dedicate human or financial resources to having a single dedicated line,” Burke said in an email. The state does offer educational resources across all four types of insurance, but the website could have scored higher with a basic glossary of terms. The New York Department of Financial Services website offered no insurance premium comparisons at the time of our analysis. The website displayed consumer complaint data only for auto insurers, and the information was from 2013. The lack of premium and complaint data hurt the state’s score. When we called the state’s consumer helpline to ask a basic question about auto insurance requirements, the representative suggested we instead send an email because the information we requested wasn’t “on hand.” The state received points for having educational resources for auto, home, health and life insurance. The Alaska Division of Insurance has worthwhile consumer education resources and a dedicated consumer helpline for insurance questions. However, it took approximately 15 minutes to receive an answer to a basic insurance question. Alaska’s low score can be attributed to the lack of recent rate comparisons and consumers’ ability to compare complaint data across insurers on the website. The limited complaint information in the department’s annual reports isn’t enough to help a consumer make an informed insurance shopping decision. Department director Lori K. Wing-Heier said that maintaining up-to-date premium information is difficult because insurers can change rates at any time. The agency is “working to become more transparent with consumer information,” she said via email. The website of the Vermont Department of Financial Regulation Insurance Division ranked 43rd because it lacked insurance rate estimates and complaint information at the time of our scoring. Vermont has a dedicated consumer helpline and our basic insurance question was answered quickly. The website has educational resources across all lines of insurance, but the information wasn’t easy to find and took several clicks to locate. Repeated attempts to reach the department for comment were unsuccessful. The South Dakota Division of Insurance website lacked rate data and complaint comparison information at the time of our scoring. Although the site lists no dedicated consumer helpline, we called the division’s main number and got an answer to our basic insurance question in less than two minutes. The state got points for consumer education resources for health, auto and homeowners insurance, but there was no material on life insurance. The educational guides would benefit from a simple glossary of terms. The Division of Insurance declined to comment. The website of the Minnesota Department of Commerce did not provide insurance rate or complaint comparisons at the time of our review, which significantly affected the agency’s score. Department spokesman Ross Corson said in an email that this information is expected to be available on the site in 2017. The Wisconsin Office of the Commissioner of Insurance scored poorly because its website lacked premium comparisons and complaint data for any type of insurance. Although the state has no dedicated consumer helpline, we called the office’s main number and received an answer to our basic insurance question in less than one minute. Deputy Commissioner J.P. Wieske told us the experts staffing the department’s phone strive to answer calls quickly. The state has useful consumer education resources across all lines of insurance, but there’s no glossary of insurance terms. Wieske said the low score did not reflect the department’s positive work, including community outreach efforts with veterans and minorities, and financial literacy training for consumers in rural areas. Rhode Island’s Division of Insurance Regulation received one of the lowest scores in our analysis because its website lacked complaint information for insurers and rate comparisons for various lines of insurance. The division’s website does offer some consumer education resources, but most are products of the National Association of Insurance Commissioners. The only health insurance resources provided are links to other websites. A consumer assistance line is featured prominently on the website, but when we called with a basic insurance question, we had to leave a voicemail and didn’t receive a speedy return call. The Mississippi Insurance Department website ranked 48th, largely for failing to display current rate data or complaint comparison tools and information at the time of our scoring. The department hasn’t focused on displaying rate comparisons in part because “pricing with any online tool can be misleading,” Commissioner of Insurance Mike Chaney said via email. However, he said the department is looking at adding updated auto rate comparisons. Mississippi’s website offers educational resources on auto, home, health and life insurance, including some state-specific information. The site has a consumer helpline, but when we called with a question, our query wasn’t responded to in a reasonable amount of time. Chaney said our experience was atypical. “The Consumer Services Division has a staff of 13 people in two locations statewide who can answer general insurance questions,” he said, adding that more than 15,000 calls were answered last year. The website of the Iowa Insurance Consumer Advocate, part of the Iowa Insurance Division, tied with Tennessee for the second-lowest score of our analysis, largely because it does not offer consumers a way to compare premiums or complaints across insurance companies. The state has a separate website for consumer advocacy, but it wasn’t up to date or comprehensive. When we called the consumer advocate’s office to ask about the state’s minimum auto insurance requirements, we were instructed to contact the state DMV. This information, however, was available on the advocate’s website in an auto insurance guide published by the insurance department. Repeated attempts to reach the agency for comment went unanswered. The website of the Tennessee Department of Commerce and Insurance lacked insurance rate comparisons and complaint information. While the website has some educational guides, there was no state-specific auto insurance guide. We were unable to locate educational resources for life insurance. The department does have a dedicated consumer helpline, and we received an answer to our basic insurance question in three minutes. The website of New Mexico’s Office of Superintendent of Insurance received the lowest score of our analysis. At the time of our scoring, the site offered no way to compare insurance rates or complaints against insurers. The site also lacked educational resources to help consumers learn about insurance topics. There is a consumer helpline, but our call during regular business hours wasn’t returned promptly. Department spokesperson Alan Seeley told us that NerdWallet’s analysis “has motivated us to improve the consumer elements of our website.” The department made improvements after we rated the site, including making the consumer section of their website more visible from their home page, providing a link to the complaint database of the National Association of Insurance Commissioners, adding links to off-site insurance educational guides, and replacing several consumer contact numbers with one, prominently placed helpline. Additional improvements are in the works, according to Seeley.